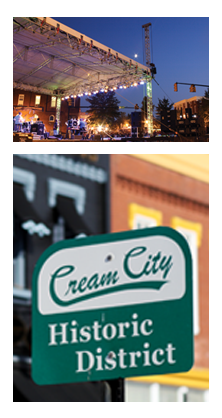 CityScape strives to revitalize and preserve Historic Downtown Cookeville, Tennessee. Here are a few of the projects CityScape currently has underway. CityScape has been working with the Masonic Lodge on the Square to revitalize their building and make it look as it did originally. The first part of the project involved CityScape securing grant funding to help financially. Once that occurred, the turquoise aluminum siding was removed as well as the awning that had been installed in the 1960s. The back and side areas of the building were then painted. The front of the building was a challenge in that it had huge windows that were original to the building but needed to be replaced. Once that was done, the final step was resurfacing the front of the building. The building now looks brand new, though all of its original integrity was maintained. CityScape was very proud and honored to be part of this process. CityScape offers Awning/Façade Grants to building owners who are making improvements to the exteriors of their buildings. CityScape asks that they fill out an application, then submit that to CityScape's design committee for approval. Once the project has been approved and the work completed, CityScape reimburses the building owner 25 percent of the cost, up to $1,000. Recent recipients have been the West Side Deli on Cedar Ave , Roberson Partnership, L.P., and Jones Antiques on the square. In 2007, CityScape was awarded a $10,000 grant and worked with the city to redo the parking lot behind the row of buildings that includes Candy Caboose and Deuel’s on the West Side. With this grant money, the surface was re-paved and re-striped to make for better traffic flow. Green spaces and trees were added as well as better lighting to make the parking lot an attractive, safe environment for shoppers. 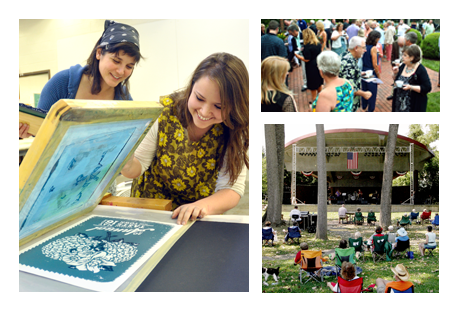 In 2008, CityScape received a $20,000 grant that was used to install tiered seating at the Dogwood Performance Pavilion. 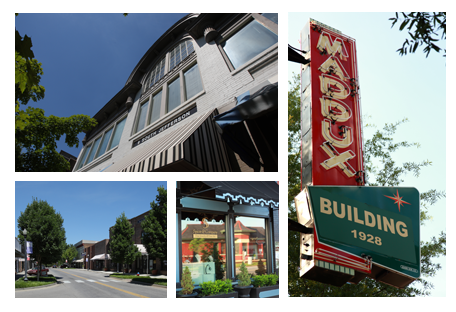 In 2009, CityScape used a $15,000 grant to help pay for banners for the Depot and the Square while also helping the West Side merchants with the cost of producing a brochure promoting their area. For 2010, CityScape received a $5,000 Green Grant, which it will utilize on the West Side. The plan is to take an existing alleyway, and in conjunction with the City of Cookeville, repair current drainage issues. Once that has occurred, CityScape will work again with the city and the West Side Business Association to turn this alleyway into green space as a pocket park. This historic Cookeville building burned in 2006. Now refurbished, the building houses the Char bar and grill. This corner building housed Maddux Hardware from 1940 to 2005. The corner now houses Kitchen & Bath Gallery and Dolce Café. The corner of Cedar and Broad was in great need of renovation. The building now boasts a mural and is home to AEI Architects. Cedar Street north of 1st Street prior to its overhaul. The new-and-improved strip is now home to a variety of businesses. This row was home to the well-remembered TPI Café in the 1940s. The renovated area now houses the popular eatery Crawdaddy's. This East Broad building received a face-lift, complete with columns. The overhauled building now houses attorney Greg Groth's practice. This historic façade was covered with blue corrugated metal siding. Now it boasts a fresh, cream-colored exterior, complete with windows.